Tribes Overall: "A great holiday and one we will remember always as being one of the best." 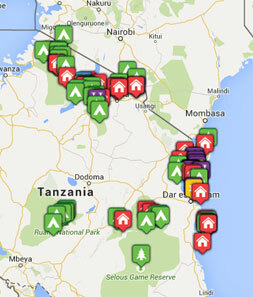 Social & Environmental Responsibility: "Gave us a real in depth view of east africa." Don't know how they managed the quality of food that we received given where we were on safari. Same kind of comment as Lake Manze with us being well looked after - the pool was very welcome to cool down in. Great location on the beach with friendly service and great food. The safaris were good but like the Sable mountain lodge they were less numerous and more difficult to spot. Without doubt the best safaris were at Lake Manze.